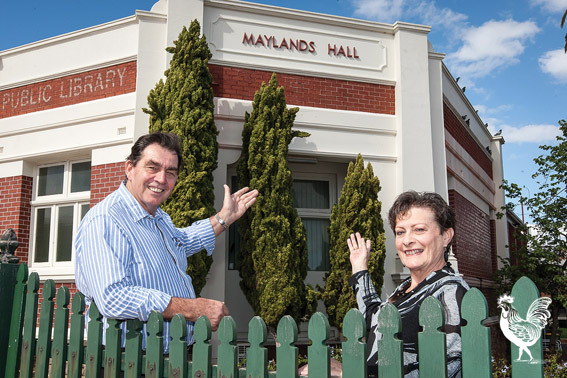 • Jim and Carole Chantry have ideas for the vacant Maylands Hall. BAYSWATER local Jim Chantry wants the old Maylands Hall turned into a new community theatre. The 67-year-old actor, who also likes to tinker in the mens shed, says he got the idea when the council moved the library into the new Rise building, leaving the hall empty. He says there is a number of community theatre groups without a home to rehearse in. Along with maintaining the Facebook page for the Kalamunda Mens Shed he’s started a page in support of the community theatre plan. He reckons a community theatre rehearsing and staging plays could get 10,000 people a year through the Maylands strip and benefit local businesses. If interested you can head to Mr Chantry’s Facebook page titled “Maylands Hall”.